The next Arb|Aut Forum jointly organized by Arb|Aut and the University of Vienna will take place on Tuesday 22 January 2019, at 06:00 p.m. at the Juridicum Wien (Festsaal im Dachgeschoss). The panelists will be Dr. Andreas Grundei (Kanzlei Grundei Rechtsanwalt), Mag. Barbara Helene Steindl (Heger&Partner Rechtsanwälte) and Dr. Dominik Kocholl (Kocholl Law). The event will be followed by a reception with drinks. Please note that this event will be held in German. 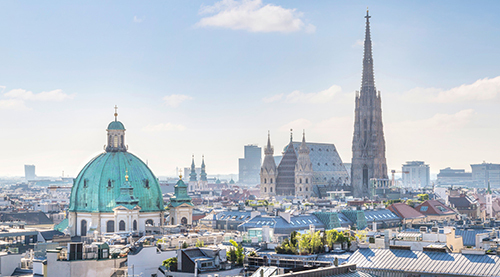 Please note that our Early Bird Registration Rate for the Vienna Arbitration Days 2019 will end on Tuesday 15 January 2019. In order to give our members the chance to secure their participation, Arb|Aut offers a special rate for Arb|Aut members who register and pay the registration fee on or before 15 January 2019. For further information and registration please visit the registration website.